Brahmas originated in India and were then imported to New England in the 1840’s from China. Light Brahmas are strikingly beautiful birds. Their plumage color and pattern, fully feathered shanks and toes along with their striking black and white plumage and gentle disposition makes this rare breed, a wonderful kid friendly addition to any back yard or flock. An adult Brahma weighs approximately 6 pounds and lays well in colder climates due to her abundance of insulating feathers. These Brahmas lay medium sized brown eggs and are fed a healthy ration of All Natural Feed. Our birds are not debeaked making it easier and healthier for them to forage for bugs and grass; in addition we fully vaccinate all our birds to prevent diseases. 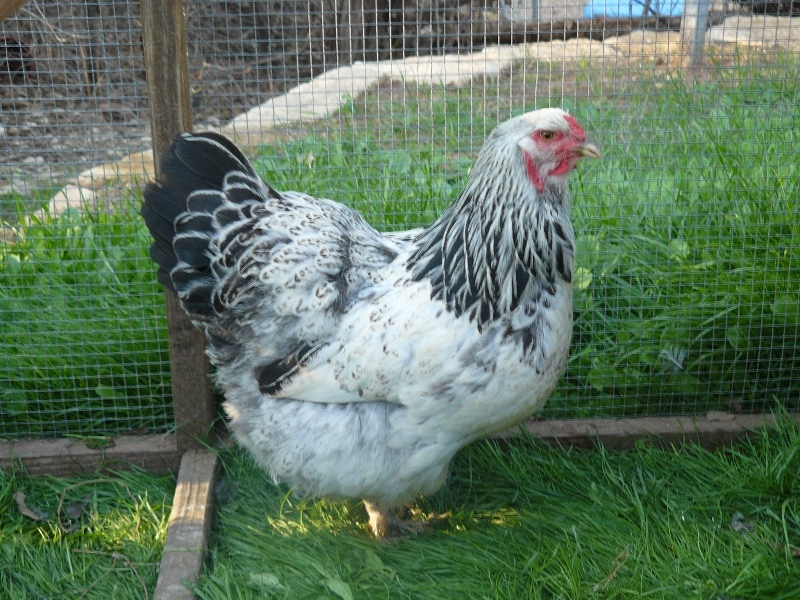 How old are your starter pullets?